Alright! It's time to craft some characters for the upcoming roleplay! Keep in mind this is a story we are building, and will probably deviate from game mechanics and stats. You are not confined to perks, killer powers, or other game constricting elements when building a story. Abilities: Be reasonable. Your character can't be good at everything. At least 3 abilities required. 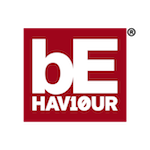 Personality: tell us how your character naturally behaves, and views the world. Flaws: Nobody is perfect. At least 2 flaws required. Items usually always on hand: Not required. Be reasonable. No more than 3 items. Background: Optional. Nice to have, but you can learn a lot about a character from interacting with them. Can be filled in at a later date if so desired. Appearance: moderately tall, Caucasian, short brown messy hair, brown eyes, glasses, skinny except for some stomach pudge , partial beard and mustache mostly trim. Abilities: Loves to think up and tell stories, able to see connections everywhere, can sing so-so, good with games and computers, likes books, acting comes second nature, limber and flexible, his reflexes and dodging are above average. Personality: shy when first meeting new people, or introduced to a new environment. after initial shyness however, constantly questioning, seems withdrawn, and refuses to answer direct personal questions. Flaws: holds in a lot of pain and anger, has trouble expelling anger effectively. would lie instead of answering a question he doesn't want to, or believes may work against him. raised by his mother, and having an unorthodox childhood, has trouble coping with other males. Items usually always on hand: Notebook and pen for writing. Background: Filled in at a later date. Appearance: An Amorphous blob of greenish-blue gunk that rolls and squelches as it makes it's way slowly toward you. Abilities: Can make hands for a brief time. Can speak, although it sounds like someone speaking from underwater. Can squeeze and fit through most openings. Can break down and metabolize most objects within it's self. Can stretch it's self out like a tentacle to attack and grapple with. Personality: A depressed soul that is extremely lonely and Volatile. Craving attention, or someone's embrace...and yet on doing so....sad and angry that everyone vanishes. Constantly eating and hoping to fill a void that was carved out long ago. Can quickly become aggressive, and seek to destroy the supposed source of his anger. Flaws: Extremely slow. Glows a bright bluish-green in the dark. Has an aversion and weakness to High heat. Appearance: Sporting long strands of brown hair tied back into a long hanging ponytail, with a short goatee and five o'clock shadow running from his cheeks and neck to his sideburns. Dressed in a grey denim vest with a black and red band t-shirt, and matching grey jeans. His clothes are slightly torn in various places, and what used to be a large patch on the back of the vest appears to have faded and ripped away during his time in the Entity's realm. His left wrist has a simple leather bangle with studs going across it, and a silver bracelet. Meanwhile his right upper bicep is wrapped in a bandana that is mostly white, save for the black stars pattern emblazoned on its surface. His hiking boots are scratched and dirty, with the laces tucked under his foot, given that both have snapped apart. Abilities: Can play the bass guitar, physically strong thanks to years as a roadie, can take a heavy hit without losing his balance, knows all the lyrics to a bunch of songs, fast runner but lacks cardio training to maintain that high speed, surprisingly, quite the chef. Personality: A real party animal, Rot loves to meet new people, however prefers to speak with people that have "real personalities", meaning he dislikes the quiet types and others who try to hide information using lies or re-directing questions. Despite this, he knows when to put his angry aside, redirecting it at the appropriate time, specifically speaking, during mosh pits. Flaws: Nearsighted, unfortunately does not have his contacts in. Has a severe hatred for snobs or know-it-alls, and is likely to get confrontation around them. Pyrophobia, will panic near fire or be unable to interact with objects when there is fire around said object. Items usually always on hand: Wallet, bass picks, empty alcohol flask. Background: Alistair "Rot" White has always loved the music scene, supporting the new indie bands on the block and going on long road trips to see his favourite big-name bands perform. On one such road trip, the "crew" as he called them, decided to take a detour to one of the member's lodge out by the lakeside. First night there, Rot got wasted and snuck outside to throw up, due to his pride he decided to wander far from the lodge, as he didn't want the others to think less of him for getting to such a sorry state. The next morning came, and the crew packed their belongings and got ready to get back onto the road. It didn't take long for them to realize that Rot had disappeared, and they called the local authorities to see if he got busted again. No sign of Rot was ever found, and despite his absence the crew couldn't stop now, they had a show to catch. He'd show up eventually, right...? The more the merrier. I hope you join in when we get started. Love the character, he's quite interesting. I can't wait to see how rot will cope. Abilities: She's definitely observant to the situation and study what may be to come. And with her kind hearted nature, she's a team player and would be the one risking to go on the line and save her teammates from the hook, and she's a moneymaker so she knows how to finesse and hustle out of situations. Personality: When it comes to Malibu, she is surprisingly reserved for being a Party Hostess. She tends to smile and nod and listen to a conversation rather than take the lead and discuss the topic given. A given quality that helps her achieve an ambivalent demeanor about her, since it seems like anyone can talk to her and she can be a listening ear. Furthemore, Malibu has quite a social perk when it comes to sociology, primarily why she is the party hostess, she loves studying people when they do this or do that, and is usually a spectator. She usually tends with one hand on her hip and the other gently parallel to her hips with legs crossed, giving off a sense of confidence yet mystery. Why confident? Primarily because she has a sense of humility and tends to only show off her wealth and fortune by providing others fun and joy and not be selfish. Malibu tends to be around loud individuals (hence her ex-boyfriend) because she enjoys studying their reactions when certain situations happen. She has always been a spectator and probably may stay that way. On her behalf of relationships with, for example, her ex-boyfriend Jericho, Malibu has been thick and thin with him and thought at one point he was the one to love. She didn’t have to worry most of the time about protecting Jericho because physically and mentally, he was able to carry himself which leaves her protective instincts dormant. It’s only when she knew Jericho can’t carry himself that she steps in and picks up what was slacking and defend her boyfriend’s honor. Malibu is flirty to when it comes to boys now, since Jericho broke up with her. When Malibu was dating Jericho, she tended to leave loving notes and gifts here and there around their apartment. This is to make up for her lack of verbal communication and use her ability of physical, silent, and emotional communication to tell the person that she appreciates everything they’ve done for her. When it comes to hanging out with other guys, she isn’t necessarily threatened by them and socializes with them here and there. With other girls, Malibu doesn’t believe in being catty to other girls and somehow always ends up being the glue of the group of friendship, making sure that the girls stayed honest with each other and accept their differences in a quiet and subtle way, like the quiet conscience. The only time when Malibu gets really excited is either when a boy surprises her with loving gestures or when she starts planning a party. With her thick New Jersey accent, she vocally leads the way in planning another successful party, making sure everyone has a good time. Now when someone betrays her trust or hurts her, this is when Malibu becomes the loudest. When Jericho broke up with her, Malibu only nodded and pretended to take it well. But in reality, she was enraged and vowed to get revenge on Jericho. So anyone who betrays here trust or hurts her heart will get her scorn. Flaws: Nobody is perfect. She's Emotionally Fragile from her previous relationship with her boyfriend who cheated on her and she's paranoid which can cause her to mess up her observations. Background: Young and the life of the party. Malibu Hayward was the girl who threw the best parties in town, becoming a hometown celebrity from New Jersey. A girl of few words, she lets her actions be what makes her larger than life. Everyone in the city knew Malibu. One night before a scheduled party, Malibu and her friends were playing with a ouija board and during the session Malibu had to go to the bathroom. Being a skeptic to the paranormal. After a few minutes of Malibu in the bathroom, her friends wondered where she was. An hour...then two hours... then three hours went by and her friends grew concerned and pounded on the bathroom door and tried to open it. Surprised to find it unlocked. But when they looked inside, there was no sign of Malibu. However, the mirror over the sink in the bathroom was shattered to pieces. And one, tiny ring, that was on Malibu's fingers. Appearance: Always wears blue cap. Few ones, who saw him without cap, claims, that he have black short hair. Have skin pigmentation (like birthmark) under left eye. Eye color is brown. 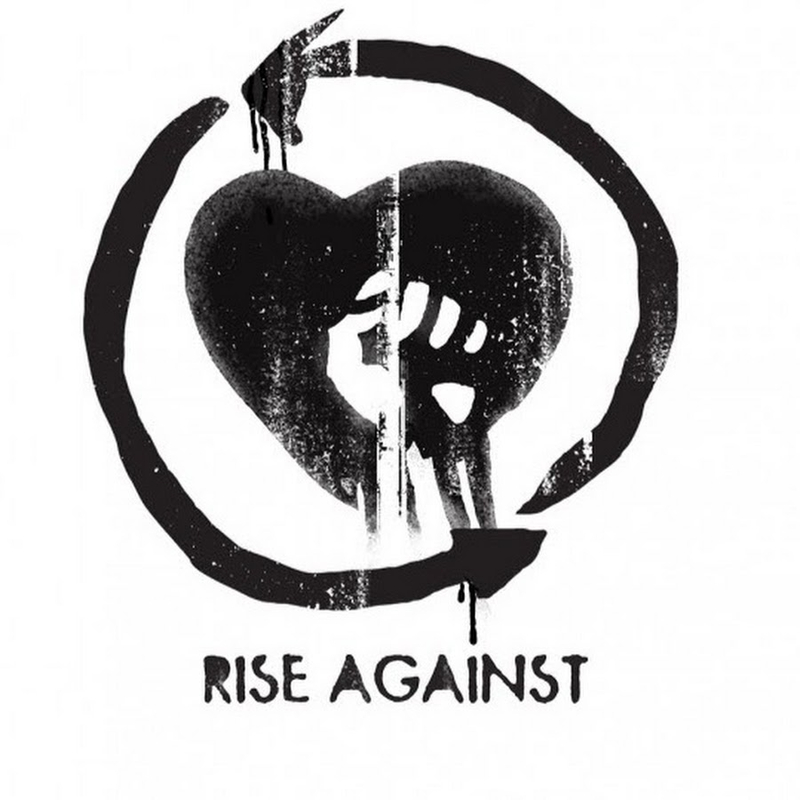 Wears white T-shirt (its' not so white now, since its hard to stay both clean and alive) with Rise Against logo on it. Along with white T-shirt wears blue jeans with belt and sneakers. Have cheap wristwatch on left hand. His height is slightly below overage. Not sporty type, not fat type either. Physical: Uses agility as main trump. Have good reaction and nice stamina, so he can climb almost everywhere. Able to dodge and predict hits (or die trying). Mental: Able stay calm and reasonable in dire and hopeless situations. Other: Have origami skills, which in Entity world is almost useless. Personality: Not a big talker and definetly not the soul of company. Mike is the type of guys, who stays near the wall, while other dancing at party. Due to his temper don't have much friends. He is not exactly loner, and don't avoid people on purpose, but, most likely, he will not be the first one who come and say "hi, nice to meet you, buddy". His trust needs to be earned, tho its not too hard as it would seem - just don't be a douchebag and make some discount for his not really talkative type. But from the other hand, if Mike said that you are his friend, that, probably, a friendship for life. Mike enjoys rock and alternative music. Back then, when things were... not so dangerous, music was another tool in his artifical loneliness. Mike tended to put his earbuds in ears and remind himself, that there is still some good things in this messed up world. Mike really lacks it in Entity realm, since he lost his music player at some point. At first, he was very upset about this, but then he remembered, that it was almost out of battery anyway. It wasn't really reassuring thought, more like ironic one. Maybe even fatal. Despite this, his earbuds is hanging from neck of T-shirt (other end of cable inside his jeans pocket). Mike don't have strength to throw them away, despite their undoubtable lack of usage. Earbuds serve more like reminder of good times. Or, maybe, a hope that good times will come again. Mike is not the guy, who can turn into despair fast. He stoic enough to overcame obstacles among his way. You could refer him to patient type, but even his patience has limits. Depending on situation, he either became stronger cause of straight amount of hate, burning inside him, or, he may fall into apathy and pessimistic moods. Flaws: As said above, mostly Mike relies on his agility - so he is not very fast at run and don't have much strength due to his body type. Mike also suffers from rheum time to time. Its almost chronic form. Mike tried all kinds of medicine, but they give only temporary effect. Althrough, this isn't much a trouble, but only as long as he stays away from too dusty or too humid places. So, swamps, sewers or old basements would be a living nightmare for him. Items usually always on hand: Earbuds, which now became part of his clothes. Handkerchief, lies in his pocket. Cheap wristwatch with basic functions and timer. Background: How everything began? Mike remembered it way to clear. One of his few friends, Carlos, invited him to sneak into abandoned junkyard. Urban legends said, that one of the workers actually killed junkyard's owner with crusher and then disappeared. Mike rejected this invitation - he had some urgent business to take care for at this time. Carlos said that Mike is gonna miss something really interesting, which Mike was completely agree on. Some time passed. Mike was all in his job and remembered about Carlos after four days he and his friends were gone into junkyard. Soon after, Mike found out that noone of them didn't come back. Call to police wasn't an option - junkyard was officially closed and entering there was forbiden due to happened crime. So, Mike decided to go there alone to find out that happened. When he was almost at junkyard, small rain started. It wasn't much trouble, since Mike was determined. As he walked inside junkyard, he found place way to dark and silent. Nothing but raindrops. Not even few minutes after Mike could swear, that silence is screaming in his ears. "Screw this silence. And this rain", - said Mike sneezing. "And you, bottle. Screw you too", - added he kicking some unlucky bottle under his feet. He wasn't going to leave junkyard, tho. This was one of his favourite phrases, before 'leave' this world and put on music. Somehow he always found this amusing. Without hesitation, Mike put earbuds inside his ears and pressed "Play" button. Mike shaked. He wasn't sure enough - is it cause of rain or fear. He pressed "Stop" button and kept walking in silence. He didn't notice when rain ended and fog appeared around him. At some point he catched himself on thought that he walks in circles. Surroundings were all the same everywhere. Not even slightliest landmark. Inapportunatelly, Mike realised, that he didn't said anyone where he is going. Noone gonna search for him, making him a perfect case for missing. His thought was cut with strange sound. Remarkable loud in this deaf silence. Sound of... bell. This sound was the last thing Mike remembered, before he passed out. This page may help you understand. Ask questions if you want. I will try to help you create your character as best I can. Appearance: A well dressed man in a dress shirt with a tie and pressed slacks. His shown to have shoulder holsters with his badge clipped on. Personality: Jonathan isn't your standard run of the mill Detective. He is a Detective that actually cares and is determined to catch the men responsible for what they have done. He is someone who is shown to really try to have people trust cops more than fear them. Although, he is someone who is blunt, and has no time for assholes. He likes to take action and he likes to conduct a plan before going in. He is someone who will lay down his life for others. If it means getting out alive. Flaws: Although he is good in Marksmanship. He does fall behind with his Age, Jonathan isn't someone who you would call a "Distraction" although he doesn't mind putting himself in that position. Just don't expect much from him. Not only that, but he isn't really good in hand to hand combat. He prefers to fight his enemies at a distance. 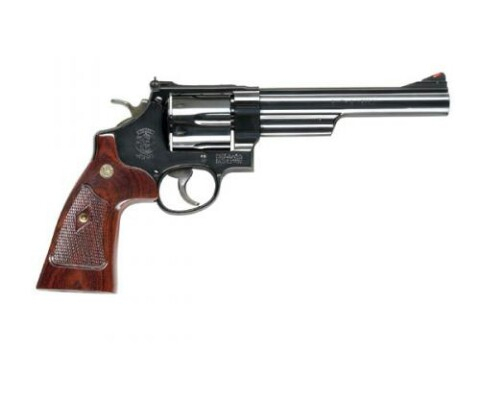 Items usually always on hand: Badge Id, Model 29 Revolver and a locket his step daughter gave him. Background: Detective Jonathan is a good and honest cop. A man who went by the book, he always tried to follow orders and cosequently found himself at the top of the ladder in his precint being one of those wanting to be determined to catch those responsible for what they have done. When hearing that people were going missing and leaving no trace across the entire city, He tried his hardest to figure out what was going on. Days turned to weeks, weeks turned to months, and Jonathan was not able to find them, but, he refused to give up, Little did he know, this would be his last case, Jonathan stayed behind for another round of overtime. Little did he know, he was being watched. The room began to feel cold and Jonathan began to feel tired. A almost whale like croak was heard as a Mysterious fog began to roll in Jonathan couldn't keep his eyes open. As he suddenly lost consciousness. Most people thought he went home after that. But little did they know, is that Jonathan became apart of something bigger than he could have ever imagined. Benedict Baker Writing: "I have seen someone new in this nightmare, a man of African American descent looking as if with an earnest demeanor of one who has spent his life protecting others. 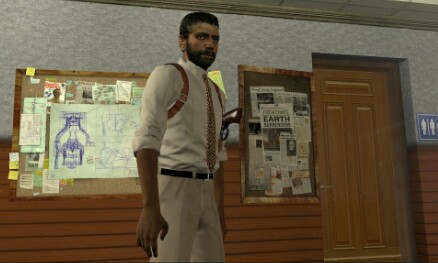 Dressed finely in a brownish shirt with pressed slacks along with a pair of holsters on his shoulder, Although he is armed, he only has one bullet. And i don't know if he means to use it on himself, one of us, or the monsters that hunt us, as if it would do any good against the horrors of the realm. He seems to be alert at all times, and despite looking elderly at times, this man possesses an indeterminable amount of strength, fighting the entity to the very core, even when all seems lost. What kind of determination does this man have that will not allow him to give up? Lukas wears bellbottom blue jeans and a 3/4 sleeve baseball tee with mustard yellow sleeves and a dark grey torso. He also wears a dark red baseball cap backwards, and has a bracelets on his left arm that has three red heart containers on a black band. Only the last two heart containers are full and the third is half empty. He often has a dramatic expression on his face. Lukas has a warm smile and naive look to him; this causes others to find him endearing but assume he is younger and much more ignorant then he actually is. There is an air of intellect about him, and a lot of energy comes off of this one. Tracking Skills - Lukas can see the scratch marks a killer sees, and at higher levels the blood trails of his allies too. This is thanks to his time camping and his younger years in boy scouts. He picked up wilderness survival at a young age and continued exploring and practicing the skills. You Got This! - Lukas provides a 150% speed increase for 3 seconds to anyone he removes from a hook. 1st level he can only do it once every 60 seconds, until 4th level he can provide it to them once every 40 seconds. This ability comes from his high energy and hopeful nature. When he's the one who saves someone or pulls them off of a hook, the survivor he saves has a burst of hope and vigor. Personality: Lukas is expressive and excitable and curious. Most of the time he doesn’t even realize how much he unveils in that face of his. Lukas is always trying to solve problems, and tends to focus on being positive in troublesome times. He’s very good at finding a silver lining, as well as feels he needs to be liked and make others happy. Being unaware of how his own expressive nature works, it gets in the way of being a secretive individual. 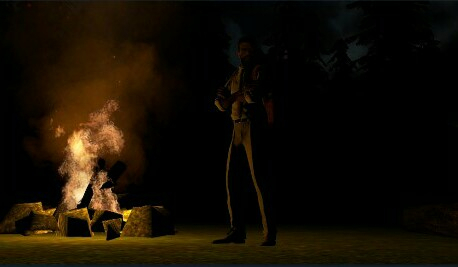 In the end he just wants to be by the fire and by the trees and away from safety. He’s also very smart, but tends to overthink and get in his head. Flaws: Lukas gets in his head a lot, and forgets about being aware of his environment. He is not as perceptive as others of his surrounding area. Lukas has a terrible attention span, his mind racing from one spot to the next. Last though he is great at being an optimist and making people feel better, sometimes he is equally as depressing and can kill a mood with his expressive and high energy nature. He can also be rather antisocial for being such an extrovert. Benedict Baker Writing: "There was someone unfamiliar that came into focus after sporadically moving through the fog. A backwards baseball cap gave away a small piece of this person's identity before his focused expression came into view. With quick eyes he locked onto his target, and quickly disappeared into a chest. He didn’t even seem to notice the heartbeat that grew louder and stronger with each second. Someone so reckless had to be new in this horrid place, and though I wished to draw his attention, I knew that no amount of noise would help him see the thing that would soon be approaching him. Then with his tongue curiously bit between his teeth, he shot down into the chest and quietly closed it on top of him. Background: Lukas was going to be a scientist, or a rock star, or a writer....oh wait no, it was definitely a park ranger! Right? Yeah definitely, not Astronomer anymore, and ambassador seems to be a life with less autonomy. He has explored and dabbled in so many areas of study that he’s lost count of everything he’s read about. Being someone who can never quite apply himself anywhere in particular for too long, he has always been great at finding the next new obsession. Lets just hope generators 101 comes under his radar before he finds himself camping again. Because word out there is that people have been disappearing in those woods. Too bad Lukas is stubborn and doesn't believe in the urban legend, and its been a while so he might have to put that manual on hold and get some fresh air and a clear sky. His current job was that of a music technician for a local bar, though he had just started and knows next to nothing about microphones and auxiliary cables. He knows amps connect to guitars, and that lights make sure people can spot the performer on stage, but don’t ask him much more than that because his daydreamed too much to absorb most of it. When he didn't come into work the first weekend, they thought he had just decided to disappear for a weekend. They called and threatened him not to do it again or he'll lose his job, and told him to not miss the next shift this upcoming Friday. But he didn't show once more, and thats when someone went to check out if he was home. Caution tape and police vehicles were outside the house, for apparently Lukas never came back from camping two weeks back, give or take a few days said one neighbor. Some friends had looked for him, already reported him missing and searched in the forest nearby for several days when it was light out. But they found nothing that gave direction. His tent was still set up, though it looks as though a bear walked through the camp site and got into his cooler pack where he stored the food. The was no sign of a real struggle, and it didn't appear that any fight with the bear took place. It all seemed strange. Just a few bear paw prints wandering to some food, and then more calmly imprinted tracks walking another direction. That is a very complex and intriguing character you have there. Being this will be more like a collaborative story, versus a game...I think you will get plenty of use out of his abilities even without all the stats and game mechanics you added. (Although, the extra bit definitely helped me get a grasp for what kind of ability you were referring to. Hyper focus, and Tracking skills make sense dictionary wise. You got this!, I think should be summed up in a more contextual way. I suggest "Contagious Energy". When Lukas is excited and hopeful it has a tendency to rub off on people who are receptive. Likewise, it acts like a flaw in that Lukas can equally depress people when he is being emphatically dense. Hi. I like the texts here so I thought to just post an updated custom killer RP profile in here. Sadly, projects with more than 2 people practically almost never work out in the long run. People get RL-delays, others get impatient, interest drops, repeat a few times and then everything dies. If anybody wants, feel free to add me on steam so we can start a 1on1 RP project. I got multiple characters lined up and I´m looking for a writing-counterpart. Whoever is interested can add me in Steam (https://steamcommunity.com/profiles/76561197996150964/). Possible languages are English and German (native). Forum ate the last try to post thise message, so excuses in case something went wrong. Changed Humanoid with a thin frame and pale skin. Body and limbs are partly covered in black, chitinous armor. From her back sprout four extra limbs that resemble hard, sharp spider legs. Her horrid face displays multiple pairs of red, burning eyes and a mouth hiding horrid, venomous fangs. Rests of Clothing are still around her body in the form of rags. She uses her additional limbs to attack and to move. Her once-human hands now end in chitinous claws and her feet are grown together solidly with her lower legs. The Chosen has 8 eyes. This comes with multiple benefits and drawbacks. Benefits: Much wider field of view and higher sensitivity to movement. Drawbacks: It is much harder for her to evade flashlights because turning away will not really help and she has no eyelids. (Flashlights also have a stronger effect on her since she is more a creature of darkness than most other killers). Additionally, she is colorblind and does not see as far as other killers. This is compensated by her ability to sense even very slight vibrations. Additionally, she is the most nimble of the killers. That also comes with advantages and drawbacks: Her thin, female frame and additional limbs allow her to move with little sound on any surface and altitude. She can cross difficult terrain significantly faster than most other killers. The Chosen is able to jump at survivors and vault over obstacles when attacking. The drawback is, that she takes longer to recover from physical attacks like heavy objects hitting her. Survivors also have a higher chance of struggling free of her grasp. She additionally takes longer to break physical objects. The Chosen once gave herself willingly to the Entity to be reborn and remade in its image. She accepted her place in the grand scheme of things and plays her part with devotion. With bitter, cynical cunning she sees the hunt as a challenge for her skills and, especially, intellect. Whatever prey will be set before her, none shall leave without paying tribute to the higher power she serves. Not only does The Chosen torment and torture her victims physically. More than that she strives to break their hope and their will to fight back. Trust and friendship are what kindles her ire the fastest! She will stop at nothing to rip those from her victims! Sometimes, when she has found the weakest link in such a chain, she will pin the victim to the ground, expose her fangs and ask: "Where are your friends...?" On her left arm, she wears a watch that stopped at some past day at 18:39. The beasts roam this realm unrelenting like a thunderstorm. You can flee or hide, you hear it coming. You can shake it off if it chases you. You can use the environment to your advantage. I have done that for a while now. There are some strategies and tricks that work well. You can outsmart them. But there is also something else. Another creature, unlike any other I have seen in this hellish place. A skittering nightmare-woman, half spider! She strikes from hiding with her horrid, sharp limbs! But there is something else. This beast is not like the others. She is cunning, she is aware, that is more than a simple predator. I have seen her kneeling before one of the hooks motionlessly once, whispering, as I struggled for my life in agony. Her voice is terrifying in an indescribable way! The creature is intelligent and she plays with us! She knows what you plan, I have seen her adapt to my moves and anticipate them. Every time I encounter her, the monster learns more from me. I must adapt anew constantly and move erratically. It gets harder every time. The human mind is not made to generate randomness. Whoever you are, finder of these notes: Pick something up. A coin, a stone or a twig. Make use of it and let it determine your path. That way the creature won´t know where you will be. A freshly graduated historian, Sahra wrote her Ph.D. thesis about a local legend of a mysterious, supernatural being and unsolved missing persons cases while doing office-work to fund it. Having left her parents home early, she managed to pull through using two things: Cynicism and coffee. Right after finishing her studies she scored a job as librarian at the city´s official archive in the basement of a library, where she had spent a major part of her graduation phase. After one of her friends, a janitor, one of her colleagues and an investigating police officer vanished without a trace, the police decided to investigate the basement archive. A fire breaking out before the pathologists could arrive to survey the scene destroyed much of the evidence on what led to the horrid crime that left four people dead and cruelly displayed in the archive´s dark isles. Sahra Stinewood became the main suspect of the gruesome, occult murder that had happened. She never resurfaced again. The fire ravaged the library beyond repair. After the investigation was completed, the building was leveled. The charred archive was sealed and paved over. Now only a small memorial stone next to a parking lot reminds of what happened. An awesome character, I can't wait to see how she will play out in the scheme of things. (ooc: unfortunately you are correct on the usual lifespan of group roleplays. However, I have a good feeling about this one. Perhaps it will surprise you. Thanks! I always wanted to play her but the last project crumbled as I described before she could take shape. You still free to join, its not too late. Appearance: A tall blonde headed femme fatale who has a penchant for leather. Her long hair in a ponytail, and her lips twisted in a sadistic smirk. Abilities: Her whip can be used for a variety of uses, torture included. Trip/Razor wire is just one of her arsenal of hunting tools to bring down prey. A long bladed knife used to teach her prey the error of their ways. Personality: She is a hunter in a world of male prey. Women are seen as either competition or bait. Relishing the hunt over the kill, she will toy with her prey. drawing sadistic pleasure in their struggles and pain. Flaws: over confidence, A high ego, body not built for high levels of damage.